Available in A4 size Personalised with any wording you wish Printed on high quality, photo gl.. Available in A4 and A3 sizes Personalised with any wording you wish Printed on high quality, pho.. 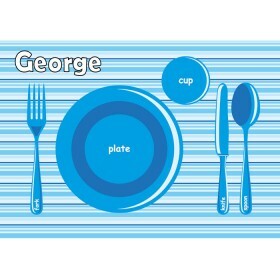 These fantastic placemats are ideal to help engage you children in the dinner time routine. Family time if important and well behaved children at the dinner table make it an enjoyable time for all. 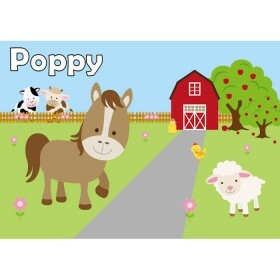 All our childrens placemats are available in both A4 and A3 sizes. They are laminated so are water resistant, but they should never be paced in a dishwasher or fully submerged in water. A simply wet cloth with wipe them clean and bring them back to life. All of our placemats can be personalised with your childs name, or the text of your own choosing. Should you require something totally unique, please contact us and we shall look to accomodate your request. 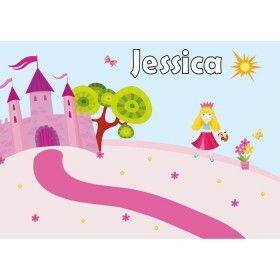 Unfortunately due to copyright reasons, we are unable to create disney placemats, or peppa pig placemats etc. We know that dinner time can sometimes be difficult for children. They get bored at the table, and never want to eat their greens! 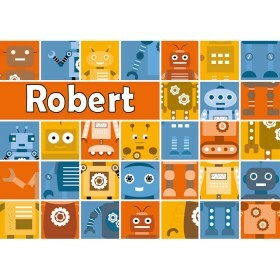 Our personalised placemats are designed to encourage children to participate in table manners and give them a sense of identity when sat at the table. 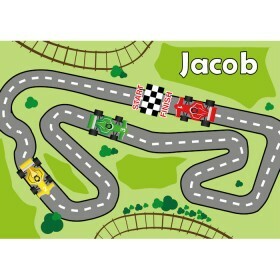 A personalised placemat can create a sense of ownership for the child. It can encoruage them to help with settings to table and tidying up at the end of dinner. By having their own dedicated place at the table, the aim is to make dinner time as stress free as possible. Take a browse of our products and pick your favourite!